These are lyrics from Walk the Moon’s song “Anna Sun”, and I absolutely adore them. They’re simple yet so full of energy and excitement that I just can’t help but sing along whenever I hear it on the radio. 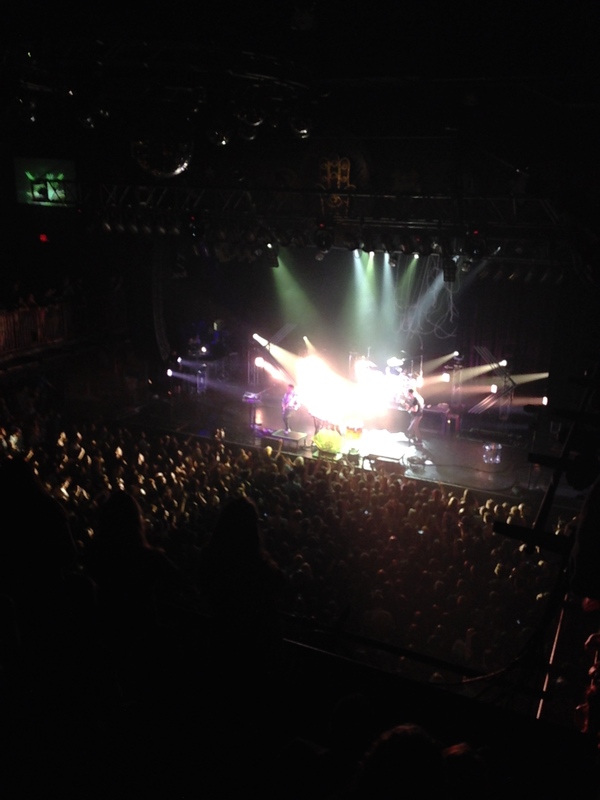 Our view of the Walk the Moon concert… we weren’t very close to the stage, but we still had an amazing time! Recently I went to a Walk the Moon concert, and OH MY GOODNESS IT WAS AMAZING!! It was my first “real” concert ever, besides going to see the Trans-Siberian Orchestra for the past six years around Christmas time with my mom. Walk the Moon is fantastic live, and if you ever get the chance to go to one of their concerts I highly recommend it. They played so many great songs, interacted a lot with the audience, and exuded a really happy vibe throughout their entire performance. I left the concert feeling so incredibly happy and upbeat, and I love their music even more now because of it.